How Do Antioxidants Work to prevent disease and help you lose fat! How do antioxidants work to help you prevent disease and lose fat? Most people realize that we need antioxidants to prevent and fight disease but the role they play in maintaining your goal weight and even losing fat is not so widely known. Antioxidants are chemical compounds found in plants and in our own bodies that inhibit oxidation or “rusting” of the cell. Oxidation is the beginning of the deterioration process. Think of how a slice of apple turns brown when exposed to air. Oxidation leads to the formation of free radicals which are unstable molecules in the body that have one unpaired electron. They can cause oxidation and damage to the cells. This is how some diseases start. We encounter the conditions in our environment that produce free radicals all too often these days. Free radical damage can occur because of too much exposure to radiation, to smoke or because our cells have become overwhelmed by toxins in the environment. Even eating a diet high in saturated fats, over cooked meats and processed foods over a long period of time can cause free radical damage. Meats that have been cooked too long at high temperatures, especially barbequed meats that are charred can produce free radicals. If it's black don't eat it! If you live near a toxic waste site, drink water that is contaminated or are over exposed to sites where pesticides are sprayed you are vulnerable. And then there's carbon dioxide, smoke or other harmful chemicals you ingest that can cause your body to produce free radicals. How Do Antioxidants Work to Prevent Disease? Antioxidants come to the cell’s defense; they are the good armies of the body, synthesized inside the body. Glutathione and lipoic acid are antioxidants made by the body. How do antioxidants work that are not made in our bodies? These are contained in foods and herbs and they work just the same but are not as powerful. All antioxidants neutralize free radicals by either supplying the extra electron or breaking them down. Antioxidants help us stay vital into old age, detoxify our organs and protect our cells from free radical damage. They support efficient metabolism helping us to lose fat more easily and they support healthy brain chemistry. The amount of toxins we are exposed to on a daily basis has increased greatly in the last few decades. We breathe toxins in our air no matter where we live. We have to make sure that we are drinking filtered water so we aren’t drinking toxins. They get into our rivers and our groundwater. They’re in plastics, packaging, cleaning products, many synthetic products and even in medications and some supplements. That’s a lot of protection we need! How Do Antioxidants Work To Help You Lose Fat? Toxins are stored in fat cells! If your body is not making enough antioxidants and you aren’t eating enough foods high in antioxidants then your body may hold on to the fat you are storing simply as a defense mechanism. It is preventing you from being flooded with these toxins. This will slow your metabolism and you may notice that you are stuck on a plateau with your weight loss even when you aren’t eating much. Toxins can even affect your brain chemistry (neurotransmitters) interfering with appetite control and proper hormone regulation. So how do antioxidants work to help you with this? When you are eliminating your body’s waste with the help of enough antioxidants they are improving your biochemistry and helping your metabolism to work efficiently. Getting enough antioxidants will even help you to control your blood sugar. Your body synthesizes an antioxidant called glutathione and the best way to prevent disease, rid yourself of toxins and neutralize your free radicals is by supporting your body to make more glutathione. It is by far the most potent antioxidant available to you that you want to have working properly. When your body makes more glutathione you slow the aging process, have more energy, better sleep and regulate your metabolism effectively. This type of antioxidant is called an endogenous antioxidant. The best way to detox and to have enough glutathione support is to eat the right supplements that support your body’s capacity to make glutathione and to eat lots of foods with antioxidants in them. There are glutathione supplements on the market but your body does not assimilate them well. The best glutathione is what your body makes. The only product I have found that effectively increases glutathione production is a product called Cellgevity. * For more information about this interesting product and to order call toll free 855-485-5373. *I have explored many ways to get more glutathione because I have a son with a medical condition that causes a deficiency in glutathione. We have tried many products from liquid glutathione to suppositories but taking glutathione itself doesn't work well because the body doesn't utilize it well. Recently we have come across a more bio-available product which is made up of "glutathione precursors" which are nutrients that support the body itself making more glutathione. These nutrients give the body the raw material it needs to make glutathione. There are studies showing that it raises glutathione by 292%. But the proof is in the pudding, as they say, and what we have seen is our son obviously experiencing much better detoxing. He is feeling a thousand percent better than he has in a very long time. The antioxidants we get in foods are called exogenous antioxidants, which means they come from outside our bodies. We need both types. Vitamins C, A and E and the mineral selenium are antioxidants. 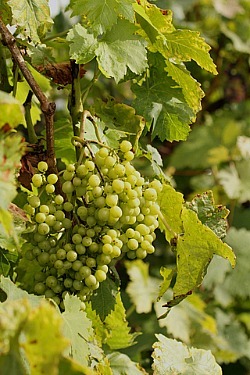 Coenzyme Q10, lycopene and resveratrol which is in grapes, are all antioxidants. Antioxidants are in the pigments of foods so go for the bright colors! Betacarotene will give you the vitamin A and is found in foods that are orange like carrots, oranges and sweet potatoes. Dark green leafy foods are also important. 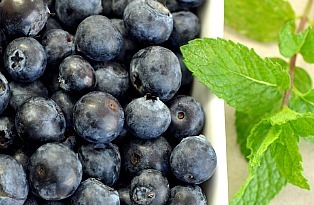 Blueberries have lots of antioxidants. To experience optimum health and lose fat efficiently be sure to eat these top antioxidant foods. How do antioxidants work to help you lose fat, have more energy and prevent disease? Do you eat a low glycemic, clean diet and eat foods high in antioxidants? In other words, are you supporting your body in doing the job it needs to do? It makes no sense to eat junk food and then take supplements hoping to clean things up. Start out with the clean eating and then consider whether you need extra supplement support. You need to eat well so the antioxidants that you make and you eat are working full time to rid your body of fat cells. You want to prevent free radical damage, prevent disease, detoxify your body effectively and support your body’s releasing of fat. The articles are full of information about how to achieve your optimal weight and support your body with nutrient dense foods. These are the top foods you should be eating to burn fat. Return from How Do Antioxidants Work to Food Nutrition Facts. Return from How Do Antioxidants Work to Lifetime Fat Loss home page.